Imo...very white...in fact....probably the most "white" I've ever owned...more white than the BJunion SMD Superwhite LED which (since I had the greenish color tint in my chrome housing) made the light shine white with a slight green tint. These Raybrig SMD LEDs dont seem to do this....overtakes the greenish tint in the housing. The pics I took makes it look slightly blue...but believe me...if you're looking for the real deal Superwhite...esp. you stock HID 4300K owners......these Raybrigs SMD LEDs are for you. so that means if it's 6000k it won't have the kind of "blue" to match it huh? Well....Rom...if you go up close to 6000K and look at it....yah...you will see the White and slight blue/purple tint...right? Step back about 20 ft....and all I see now is White. So yah....these Raybrigs are really white up close and far away....no color showing at all. If you got stock HID 4300K....then YES!!! Which other bulbs in the GS can these LED's replace? U thinkin of going LED for ur wedge? Its about time. no, dont' think that will be the case for the gs4. maybe sc430? Sheesh...poor GS4 get no attention anymore. So far the best bulbs to match the 6000k Philips would be Bjunion SMD LED Purple/White right? 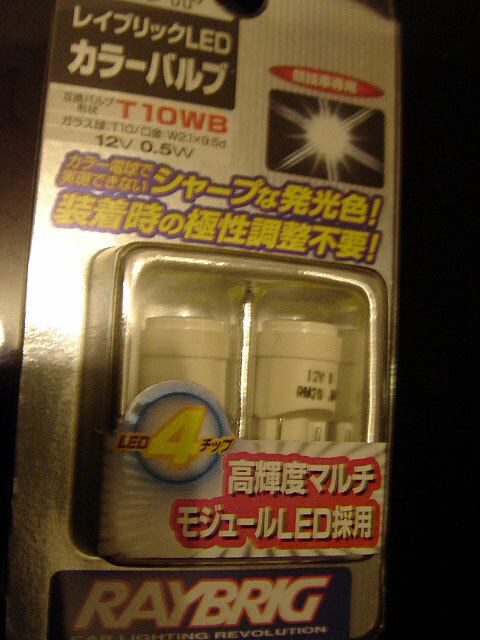 THen would be the 9 led ebay bulbs? Which of the 2 are brighter? Well...imo....its a toss up between the Bjunion SMD LED Purple/white and the Matrix 5-LED in terms of color. For quality...definitely the Bjuninon...cuz the Matrix have already burnt out. For brightness....the Matrix is brighter due to larger LEDs. For fitment....Bjuinion takes this one....cuz the Matrix side LEDs need to be bent so it can fit into the wedge opening. By all means....there is no LED out there that exactly matches the 6000K HID but these are the best matching I have found so far. Just ordered these Raybrig T10WB RC341 LED bulbs from SigmaAuto.com. Here's the link: http://www.sigmaauto.com/lighting/main.php The price is $35/pair. I went on Pete's recommendation that they match stock HID's pretty well. Tried PIAA XtremeWhite last night and wasn't too impressed with them, but much better than stock. Pete, I assumed you had the 4-LED ones and not the 6-LED, based on your picture of the package and the fact that they were 0.5 Watts, while the 6-LED ones are 0.7 watts. Unfortunately I can't read Japanese. Yah...4-LED ones......you should have asked...I would have sold them to you. 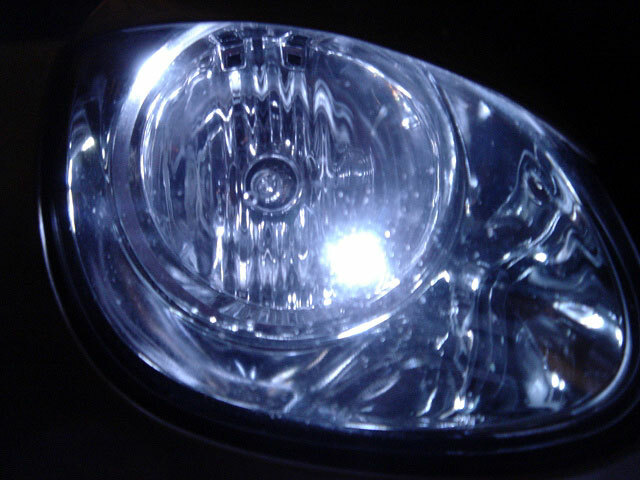 Will these work for the daytime running lights? and apologies for not doing the research, but if the Raybrig does not work, can you recommend the best LED bulb for the DRLs that match the OEM HIDs? umm..... we are talking about the little bulb at the bottom of the high beam housing, that's just a wedge bulb, low wattage.